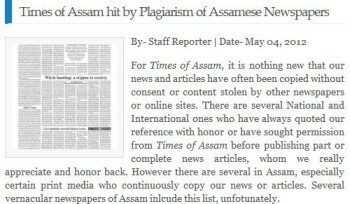 The Times of Assam accused the Assam Tribune of plagiarism May 4. In its note about the plagiarism, The Times of Assam wrote that “it is nothing new” for its work to be plagiarized, but “it was a pain to find” the Assam Tribune’s April 30 plagiarism of its August 30 article. 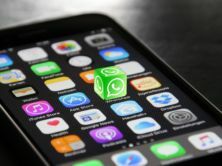 iMediaEthics’ review of the two articles supports the claim that The Tribune article lifted several verbatim sentences from the Times of Assam. See the screenshot below of the Assam Tribune article, which uses yellow highlight to indicate verbatim content from the Times of Assam. 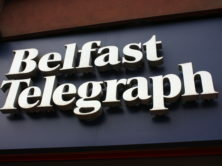 We have written to the Tribune for more information and will update with any response.